In January, Lizzie and I went on one of our bi-monthly wanders. 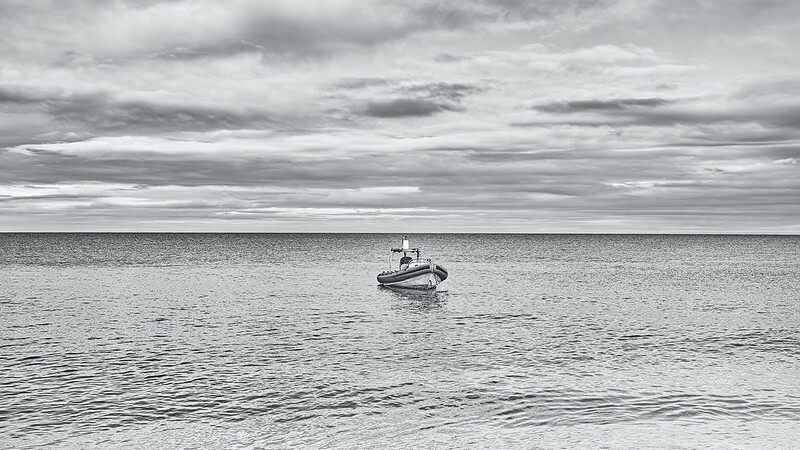 We washed up, as we often do, on the Jurassic Coast, flitting between Seaton, Sidmouth, Budleigh Salterton and other small bays and river mouths in that area. 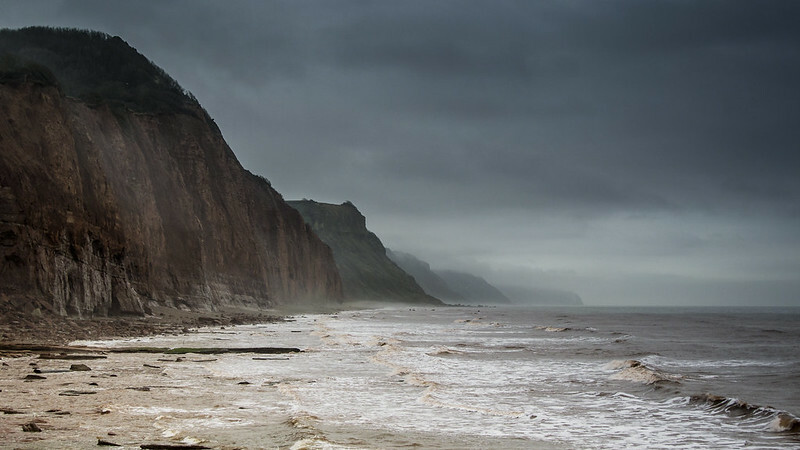 Here, we were at Sidmouth on a grey, showery day. We wandered around light for a change, with only our small cameras. I was struck by the misty distances and the softness of the light on the red cliffs. Yes, yes, a bit of post-processing was involved, but this is how the day was for me. 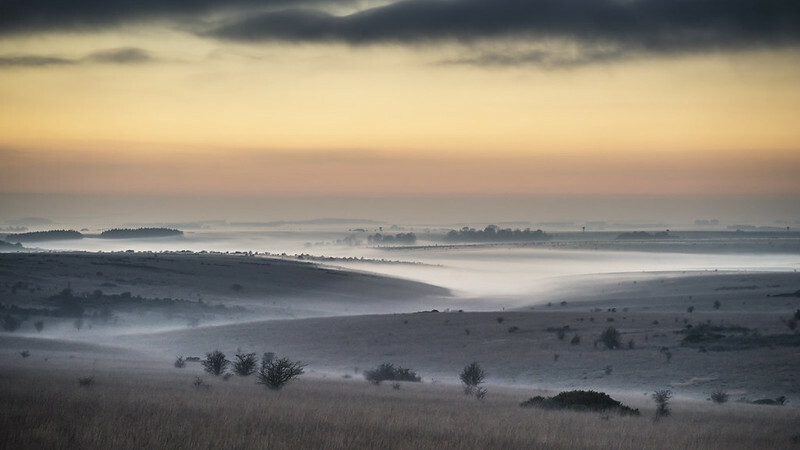 Of course, any summation of the photography year must, for me, involve photos of Wiltshire, particularly photos across Salisbury Plain, or from Salisbury Plain. 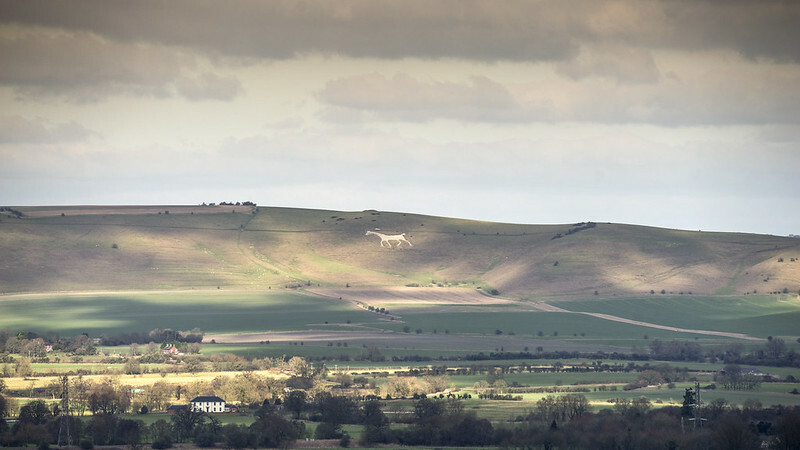 Here’s the Alton Barnes White Horse wandering sedately across the flanks of the downs, always on its way somewhere and never quite arriving. Again, in this last month of winter, the sun is weak and the light is hazy, and the shadows of cumulus clouds dapple the downs and vale. March. The evenings were drawing out again — huzzahs! — and the weather was beginning to warm. Subjects I often photograph in this area of Salisbury Plain — above the villages of Upavon, Rushall, Chirton and Charlton — are identified on the Ordnance Survey Map as the Charlton Clumps, small stands of trees dotted around the fields on top of the escarpment that climbs out of the Vale of Pewsey. Below is one of the Clumps at sunset towards the end of March. There’s a bird atop the barn, but I shall never know what it was. Halfway through spring. The sky is grey. I’m beginning to see a theme emerging. I don’t know how dull it was last year, on average, but there is very little sun on display in the photos to come on this page. Don’t expect yellow grasses, blue skies and bright flowers! 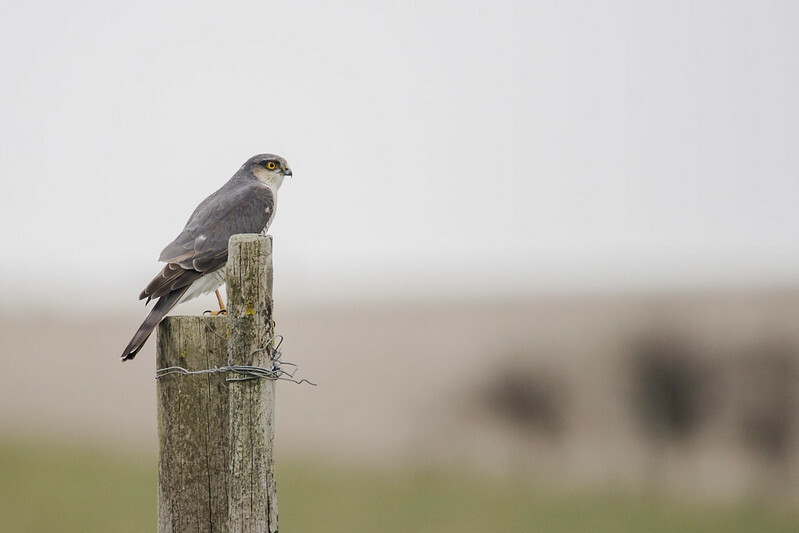 Still, here, posing perfectly ‘pon a post, is a spring-clean female sparrowhawk. I’m not one for hiding in hides or camouflaging myself — or my camera — so I don’t often get close close-ups of birds. This sparrowhawk remained implacably poised as I crept slowly along the crackling gravel in our little four-wheel drive, enabling me to get a couple of shots of her big yellow eye and her bladed bill. The last month of spring! 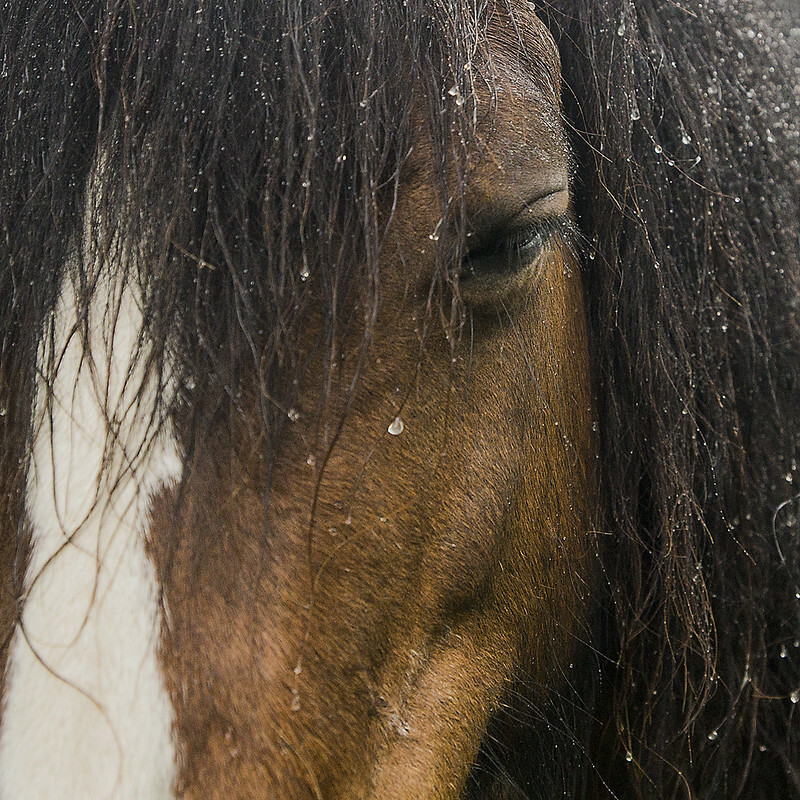 You can tell this by the raindrops adorning the mane and fringe of this horse. There were three horses in the field — on another grey photography day — and they stood for a while statuesque, facing into the falling rain. When I moved to take a photo from another angle, this one turned and wandered across, hoping for an apple, or a carrot, or a raincoat, and allowed me to take this close-up of its tangled hair and rain-jewelled eye-lashes. Here comes summer! You could tell by the heavy lid of grey cloud in the background, right? Salisbury Plain is a military training area. 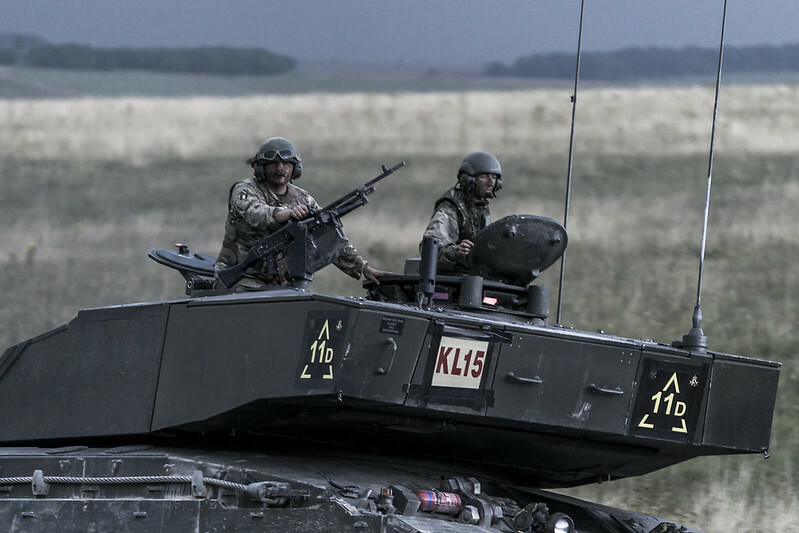 The Plain is split into three areas, Salisbury Plain Training Area (SPTA) West, SPTA Centre, and SPTA East. This photo was taken on SPTA East, near Tidworth. I drove up a byway one day and discovered this old vehicle — I want to say it’s a Humber Pig, but I don’t think it is — on the large off-road area provided to train the drivers of army vehicles. At first I thought there’d been a terrible accident, but then realised that if there had, it had involved a Clown Car, as the mudguards had obviously fallen off en route and the rear hatch blown open. No, this had been deliberately tipped over here for a later recovery exercise. 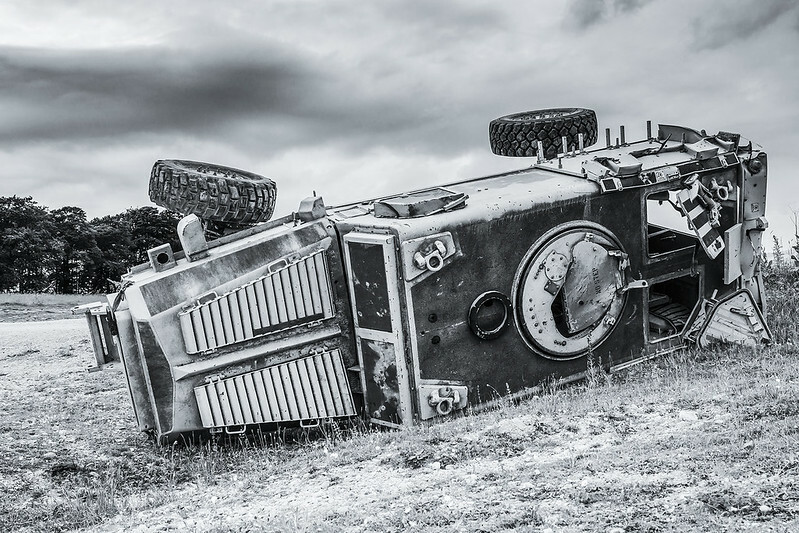 With the sky, and the tones of the vehicle, I knew it would look good in black and white. Midsummer, as you can tell by the bright, burning sun and.. oh, who am I trying to kid. A dry day, at least, with a feeble late afternoon sun behind a vaguely translucent layer of stratus, this photo was taken at Milford on Sea in Hampshire (somewhere below the New Forest and to the right of Southampton Water). This is the nearest seaside for us, and we usually visit it once or twice a year, before or after the summer holidays, and in the evenings, when things are quiet. 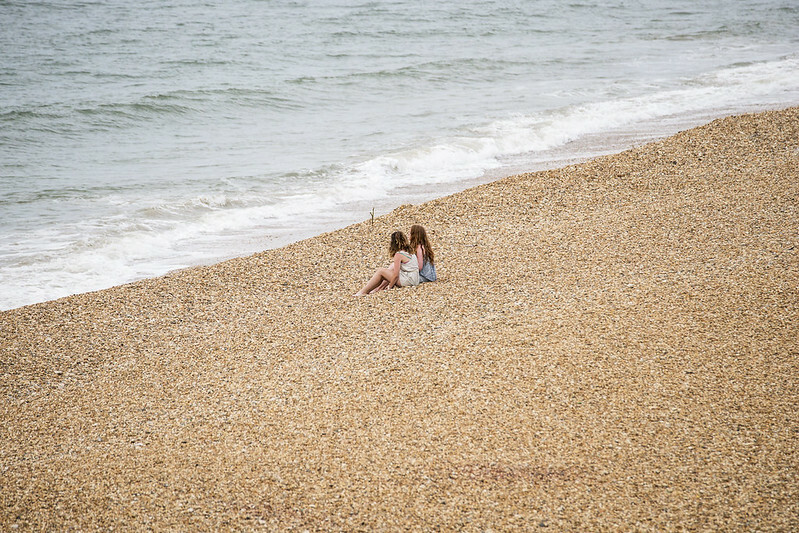 These two young girls, apparently alone on the pebbled beach, perhaps sharing secrets, made for an interesting subject. In September we were away again, this time to the south coast of Devon, staying in Brixham. On one of the days, we ended up at Slapton Sands and Torcross, taking photos of patterns in rock and the shingle shore. I was particularly taken by this RIB, anchored just off the beach. When I was processing it, I knew it would look good in black and white, and so had to process it that way. I like the gentle ripples in the sea, and the grey stratus and cumulus above it. As you’ll have noticed by now, not only is the Plain full of copses and trees and wildlife and landscapes and misty distances, it is also full of military vehicles. This army lorry was kicking up dust in a most photogenic way as it rapidly traversed one of the gravelled tracks across the Plain the army have built and maintain so that they can move heavy metal without causing unnecessary damage to what would otherwise be chalk tracks. November brought another trip, this time to Shropshire. We stayed near Clun, a tiny town in the Shropshire hills, near Craven Arms, Church Stretton, Much Wenlock and the like. There were castles! Clun itself had a castle, which we of course photographed, but we also stopped at this castle, Hopton Castle. Founded in the 12th century as a motte and bailey, the stone castle was built during the Barons’ War of the 1260s, and was further fortified as a parliamentary stronghold at the outbreak of the English Civil War. 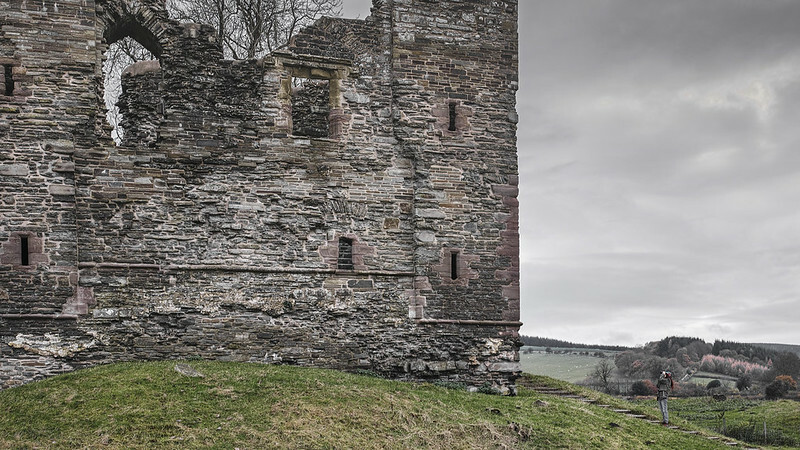 More information can be found at the Wikipedia Hopton Castle page, and at the official Hopton Castle web site. Lizzie photographing on the steps gives a sense of scale to the remaining building. What’s this? The last month of the year and some sunshine! Indeed. The day was short and cool, and my trip around the central Plain had been rather disappointing — the light was weak, the distances hazy, and no unusual animals or birds put in an appearance. However, as I was driving across the Black Heath, the clouds thinned. I noticed mist forming in the combes, and stopped in various places to take photos. This (and the one that heads this post) was the best of them, I thought. You can see the mist flowing off the higher levels down the slopes and into the shallow valleys like rivers. This photo was, of course, processed to emphasise the mist, to ensure its silveriness can be seen just as I could see it that evening. I stood on top of my car, with a tripod, to get this photo, with the camera set to a long exposure after a ten-second shutter delay. This entry was posted in bird, devon, landscape, photography, photography, Salisbury Plain, wiltshire, writing and tagged local, photograph, photographs, photography, travel, writing. Bookmark the permalink. What a great set of photographs! The weather may have been dull, but your pictures are beautiful. Your writing is wonderfully evocative. Wonderful photograghy! You could create a lovely calendar from these photos.